Mawanjeni Primary School’s average performance in Primary School Leaving Exams (PSLE) over the three years, 2009-2011 was 55% whereas its mentor school, Maweni Primary averaged 93%. 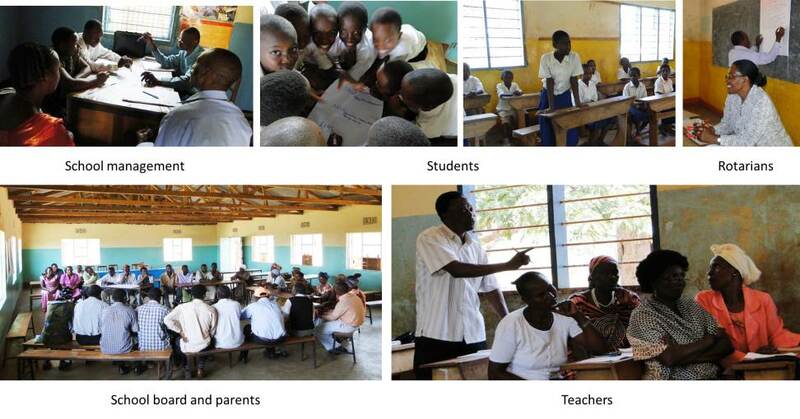 The project was launched with the first focus group event at Mawanjeni Primary School. Two representatives each of students, teachers, students, parents and school management of the mentoring school joined in the indepth discussions of the problems of Mawanjeni school faces. Weak management, lack of discipline among teachers and lack of parental interest, and children not having a voice in school’s affairs seem to underlie many of the school’s problems. These findings were shared with all in an assembly, planting seeds for further thoughts, deliberations. Concrete, monitorable actions to improve the situation are what the project aims for the school to arrive at.